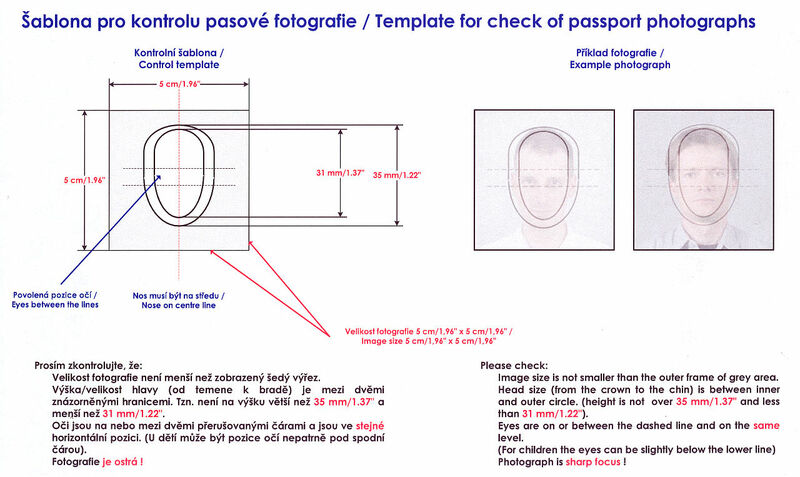 Czech passport photographs can be the standard 34x35mm or 50x50mm type. Children under 5 can have mouth open a little. Babies must have eyes open. Call today to book your appointment for Czech passport photograph, in most cases we can fit you in same day.